Zumba has taken the nation by storm. Women (and men!) congregate in gyms to get their bodies moving and their heart rates up. Luckily, finding a great Zumba class in Utah is not difficult. Here are some of our favorites! The Provo Recreation Center is the city’s stop for all things fitness. Built only a few years ago, the facilities are clean and expansive, accommodating the city’s large student and family populations. But if group classes are more your thing, the Provo Rec Center has plenty. Unsurprisingly, Zumba happens to be one of their most popular. Taught at different times during the day and by a range of different instructors, the classes welcome both newcomers and Zumba veterans. Springville Zumba is an independent Zumba-obsessed entity. If you’re intimidated by gyms and crowded classrooms, this place is for you. The classes are typically small and are always taught by the same instructor. Classes are held on Mondays and Wednesdays at 8 p.m. The gym of all Utah gyms, Vasa Fitness is a serious center for Zumba lovers. Vasa’s Zumba classes (which vary according to your specific gym’s location) are exactly what you’d hope they’d be: enlivening, motivating, and enjoyable. Due to the amount of Vasa gyms in the state (many of which are in close proximity to each other) you can always make sure you make it to a class that fits your schedule. Memberships are cheap and the gym’s employees are always willing to help you find the type of membership that works for you. Offering a variety of group fitness classes such as cycling, yoga, weight lifting, and Zumba (all of which take place in one of their group recreation rooms), the Northwest Recreation Center in Salt Lake City also offers different variations on traditional Zumba, such as Strong by Zumba and Zumba Core. Like the Provo Recreation Center, the Northwest Recreation Center is a welcoming community hub that easily feels like home. Whole lotta' Zumba going on! Fitness on 7th is a true Zumba powerhouse. Offering classes at nearly any time of the day, the gym is small and sincerely focused on the wellbeing of its clientele. Offering classes every day of the week (with less on Sunday), the gym is a nice neighborhood spot where you can break a serious sweat. Located just south of Salt Lake City near Little Cottonwood Canyon, the beautiful Cottonwood Heights is home to a superb recreation center with several pools, an ice arena, an indoor track, tennis rackets, and a seemingly infinite number of other facilities. Of course, Zumba classes are an integral part of the rec center’s MO. The Lehi Legacy Center is huge: 96,000 square-feet of recreation space and fitness facilities. Perhaps in efforts to match its size, the Lehi Legacy Center offers an extremely large variety of classes in comparison with other rec centers in the state. Be sure to check their schedule to see when Zumba is being offered! Another impressive community recreation center, the American Fork Fitness Center is also a Zumba hot spot. With a membership to the facilities, you can access all of the center’s Zumba classes, in addition to all of their other classes. Taking advantage of the center’s Zumba classes will give you a community with which to share the joy and hardship of accomplishing your fitness goals. High fitness! Now at AFFC! Come check it out! Located in the smaller town of Salem, Powerhouse Fitness’ classes are just as physically-demanding as anything you’d find in a larger recreation center or gym. What’s better? If you go often enough, the Zumba instructors will easily remember you by name. At Powerhouse, fitness (and Zumba) is all about friendship. This place is popular for a reason. 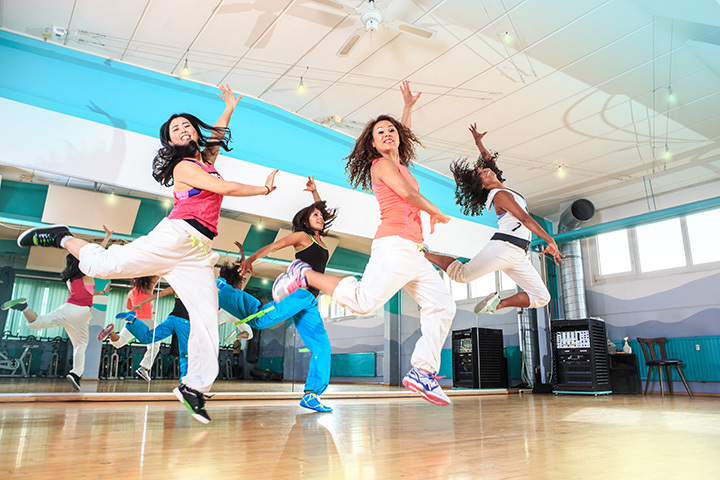 Extremely clean, extremely professional, and extremely helpful in helping its clientele to reach its goals, it makes sense that the club’s Zumba classes would also be top-notch. Need to let out some aggression?! Jamie throws down a killer Turbo Kick class every Thursday morning at 9:35 at the River Road location!